Distracted driving happens every single day. And with advancements in science and the safety of driving and cars, it should seem like the number of fatalities and injuries caused by driving should be declining. As a young driver, I have always been absolutely terrified to even glance at my phone behind the wheel, and it has honestly never occurred to me to start texting behind the wheel. While walking or driving, I notice people every day with their noses buried in their phones and a hand simultaneously, yet absently on the steering wheel. In the past 50 years or so, the safety of motor vehicles has improved vastly; from a time where no one wore seat belts (and some cars didn’t even have any!) to now, where people have to pay fines for not wearing them, we were heading in the right direction for a long time. 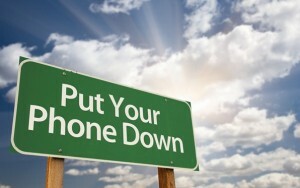 Are cell phones reversing our progress in driving safety? How well can humans actually multitask? While teenagers are the main scapegoats in this mess, is there actually a correlation between age and tendency to text and drive? Is texting while driving the most dangerous form of impaired driving? My hypothesis is that, yes, cell phones are causing car crashes, injuries, and deaths to increase. And I do not think that teenagers are the only group that texts and drives, but that adults are equally as guilty of distracted driving as them. And I think that other means of impaired driving, like drunk driving, might be more dangerous. 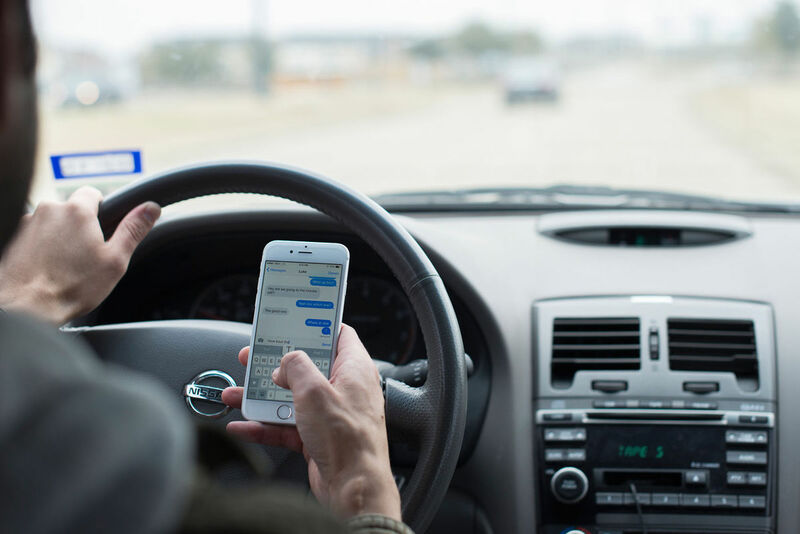 According to the Federal Communications Commission, almost 3200 people were killed in 2014 due to distracted driving, and over 400,000 were injured. 34% of Americans admitted to texting while driving, according to This Infographic. This Infographic also shows that about half of all children have been in the car while a driver was texting, and almost 1/5 of them have seen their parents do it! So can humans actually multitask? Neuroscientist Earl Miller from MIT says that humans can’t actually focus on multiple things at once. They can actually just switch what they’re focusing on very quickly. At the University of Michigan (boo!) a study was conducted on a main and his brain responses were analyzed. He was simply overwhelmed and could not multitask. Multitasking is, plainly, not really do-able. We can immediately change what we are focusing on, but we can not focus on two things to once. Teenagers are actually the #1 culprit of texting while driving. Thanks for the bad reputation, everyone. Texting while driving is six times more likely to cause an accident than driving while drunk. That is really, really scary. Texting and driving is actually like driving while blind. Psychological studies have shown that the people who think they’re good at multitasking are actually the worst at it, according to Fox News. And there is actually a neurochemical in our brains that makes us feel good when we check our phones, even though we know it’s dangerous while we’re driving. It is like an addiction. I was a little bit right in my notions, but mostly wrong. I was right, obviously, in thinking that distracted driving increases injury and death. However, I didn’t know that texting while driving is more dangerous than driving while intoxicated. I thought humans might be able to multitask a bit, and that teens were not actually the worst in terms of texting and driving. But I was wrong about all of the above. So, moral of the story is, no one–teens, young adults, or even those who remember life before the cell phone should not be on the phone at all while they drive. These distractions are doing nothing but harm to us. With people dying daily in fatal car crashes caused by texting and driving, it is an epidemic that must stop. Perhaps stricter laws or ways to monitor this should be established. This is a very, very serious issue. This entry was posted in Uncategorized on September 4, 2016 by Molly Mccarthy Tompson. When I first started driving, I felt the same way that you do, terrified to even look at my phone while driving. There were too many other things going on, and I was too focused on the road for anything else. However, as I became more and more comfortable driving, I found myself quick glancing at my phone to see if I missed any texts and sometimes picking up my phone to get a better look. Although I know texting and driving is an extremely dangerous thing to do, and I swore I never would, I feel that, with this new knowledge of a human’s incapability of multi-tasking, just by checking my phone and not taking the time to type out a message is just as dangerous as sending a text. I’ll definitely keep that in mind the next time I get in the car and drive. Another thing that this blog brought to my attention is the danger of using phones or iPods for music in the car. Most kids nowadays don’t listen to the radio where one click of a button can change the song. When people use their phones as their music source, it is a lot harder to control the music when you have to go through your phone to change the song or find the one you want to listen too. In this article , it explains that music too can be an issue while driving, especially when using hand held devices for that music. Pay attention to conclusion number four where it discusses searching for a song while driving! I recently learned about a new less deadly but still prominent issue around us: texting and walking. Not only do studies suggest that texters and walkers are annoying as hell, it has come to our attention that it may create new and also dangerous issues for pedestrians. A good friend of mine is a freshman out at Utah Valley University. He started telling me about a new “texting lane” for students, most likely implemented to make a point rather than to actually create an added convenience to the whole situation. Here’s <a href="http://www.huffingtonpost.com/2015/06/17/utah-valley-texting-lane_n_7605236.html&quot; a little more information on these texting lanes! I never actually knew that humans couldn’t multitask until now. People always consider themselves good or bad multitasks but now I know there is not such thing as a multitasking human. It makes sense to me because when we switch one task to another, we begin to lose focus not only on the primary task but the environment around us. I have actually witnessed this feeling of a blurred environment when I walk and text, you think you’re somewhere, you look up, and you’re on the other side of the sidewalk! Now that I know that it has been scientifically proven that our brain cannot multitask, I realize how dangerous it can be, especially in situations when your life and other peoples lives can potentially be put at risk. I looked up this topic because it sparked my interest and I found a short video clip on multitasking and what the distracted mind is like, kind of summing up what you wrote about in your bog post. Watch it here: https://www.youtube.com/watch?v=JQKELDNnzUQ if you’re interested!